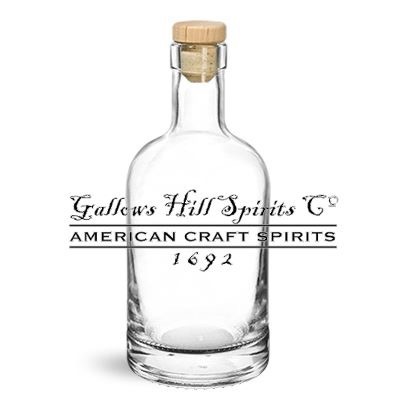 Gallows Hill Spirits has revealed their plans to open in the Allentown Economic Development Center’s (AEDC) Bridgeworks Enterprise Center, making it the fifth Lehigh Valley distillery in planning or under construction. Gallows Hill joins County Seat Spirits, who is located in the same center, as well as Social Still in SouthSide Bethlehem, who are slated to open soon, Blackplate Distilling on SouthSide Bethlehen, and Eight Oaks Distillers in New Tripoli. While the distillery is still in the planning stages, Piano is scheduled to pitch his business plan to the AEDC in February to join their incubator program that already hosts fellow booze makers Colony Meadery, Hijinx Brewing, and County Seat Spirits. He hopes to be up and running in August and host a grand opening by the end of September 2015. He hopes to distill 2,000 cases per year by their 5th year in operation and expand to 5,000 cases by their 7th year. Piano says his operation will be a family one, with his daughters Kristen and Karen managing the tasting room and handling marketing/compliance reporting respectively and his sons-in-law Lars and Johnny helping him with production. “I want to extend the “family feel” from employees out to the patrons, to make it a comfortable and fun environment to relax and experience,” Piano said about his family assisting in the distillery operations. And the booze itself? They’ll be starting with a corn-based moonshine and a white rum, as well as making variants of this using hibiscus, chamomile, and hops. They hope to get spirits aging as soon as possible and will eventually introduce aged rum, rye, and bourbon to their line-up. The distillery and its spirits will have a witchcraft theme, based off of a family story from Piano’s long-ago relative. Piano says in 1692 his great-grandfather (eight times over) was known in Massachusetts as the ‘soothsayer of Andover’ due to his reputation as a fortune teller who had uncanny accuracy. As Andover was not far outside of Salem, such abilities were frowned upon and after he married a wealthy widow, his status elevated in the community and made him a target. In an effort to save his life he confessed to “bring in league with the devil” but was ultimately hanged on September 22nd, 1692. As the story goes, with the noose around his neck, he tried to recant but hangman’s pipe smoke choked him as he tried, causing the crowd to proclaim it was the devil preventing him from taking back his confession.